From now until August 7th we invite you to stop by the Western Metal Building Hall of Fame Bar and Grill to check out a Harley-Davidson on display! 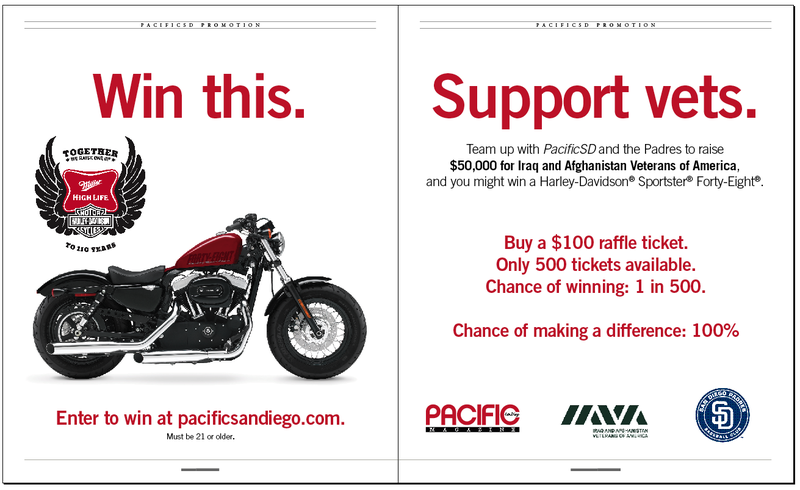 The Padres and MillerCoors have teamed up with Pacific Magazine to raise money for Iraq and Afghanistan Veterans of America. The Harley will be raffled off and given away during a pre-game ceremony on the field at the ballpark in September. Please feel free to check it out on your next visit to Petco Park!